You are here: Home - Accounting Software - Top Ten Tips For The New Reckon Accounts Hosted V2 – get the best experience you can! When ever there is change, there is some learning involved. We have to adapt to the changes and learn how to master the change, in order to really take control of our system. 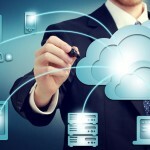 In our own busienss, we work in the Cloud everyday, we love the Cloud and its many benefits. We therefore wanted to share with you our Top Ten Tips For The New Reckon Accounts Hosted, so you can get the best experience you can! As written by Nathan Elcoate, Director, Axis IT Consulting Pty Ltd. 2009 Reckon Accredited Partner of the Year. “Now that Reckon Accounts Hosted 2014 is purely based in the browser using HTML5, it really is like any other website you might access on your computer. This means it is susceptible to spyware, viruses in your browser and just general malware. In having a conversation with Pete Sanders from Reckon today (MB Reckon Business Division), I explained my system was very fast, that I had not seen the tabbing issues and was not experiencing a lot of the bugs (apart from logging in being slow of course). Pete asked me why I thought that was. I thought about it for a minute and explained that I am a “browser nazi” for want of a better word (and I don’t mean to upset anybody by using that term). I can’t stand Spyware, Malware and other Crapware that floats around the internet waiting to self install at any given moment. I cringe at the sight of those Smiley Central toolbars, news.com toolbars, Yahoo toolbars and the rest. Just like a server that would house your company databases and files, you want it kept clean and virus free. So why wouldn’t you want the same for your browser? I also use a service called Hola Unblocker (http://hola.org/) which is an internet service that runs in your browser and provides you a cleaner and more stable internet experience. This is what is known as a VPN Proxy service and bypasses a lot of the traffic your ISP puts your internet service through. 1. Remove any browser add-ons that you don’t need . 2. Remove any unwanted toolbars. 3. Install a pop up or ad blocker. 4. Reset your browser from time to time. 5. Use a free app such as CCleaner from www.piriform.com/CCLEANER if you are not sure how to do this – Beware when installing ANYTHING on your computer from the internet, read the fine print and don’t just auto accept and install, as even Flash, Java and Adobe Readers come with nasties attached these days! – Why? Because they are paid mega bucks to do so! 6. Set your WiFi to not self power off (you can do this in Control Panel in your Power settings). 7. Use an alternative browser just for Reckon and maybe Online Banking (this will eliminate the clutter that may exist in your regular browser). 8. Keep your Reckon data file clean, regular rebuilds (File – Utilities – Rebuild Data) will ensure this. 9. Make sure to close all open windows and especially large reports in Reckon Accounts when not needed, and LOG OFF CLEANLY – File – Utilities – Close Company/ Logoff – then File – Exit will log you off quickly and cleanly every time. 10.Use Google Chrome, Mozilla Firefox or even Safari as they will likely all be faster and cleaner than your Internet Explorer. For more information on Reckon Accounts Hosted V2 as we like to call it internally, please review our recent Blog post highlighting the increased and new functionality; and don’t hesitate to contact us if we can be of any further assistance.